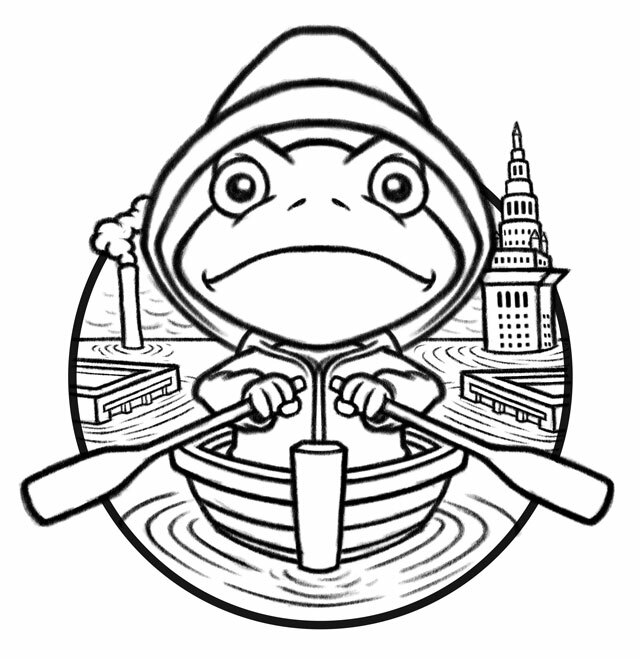 Final sketch for the 2013 frog-themed t-shirt design for the Ohio Canal Corridor‘s annual Cuyahoga River cleanup volunteer initiative, River Sweep. Cartoon frog as The Hulk. 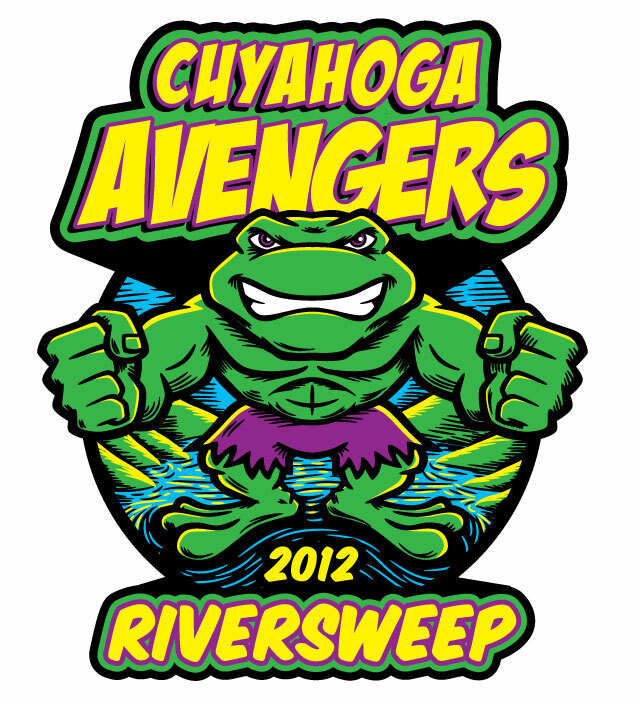 T-shirt illustration for the 2012 River Sweep event. 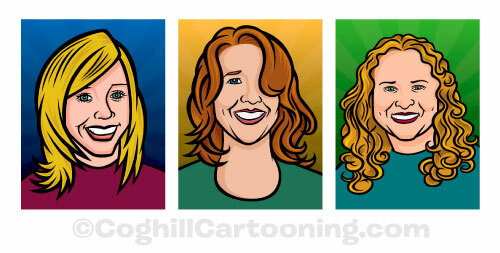 My new Cleveland Browns “dog pound” inspired artwork “Dawg Pound” is now available on t-shirts, apparel, mugs, keychains, stickers, buttons & more at my Coghill Cartooning Zazzle online store. I’m not much of a football guy, but being a Cleveland native and a northeast Ohio resident — lots of people I know are. 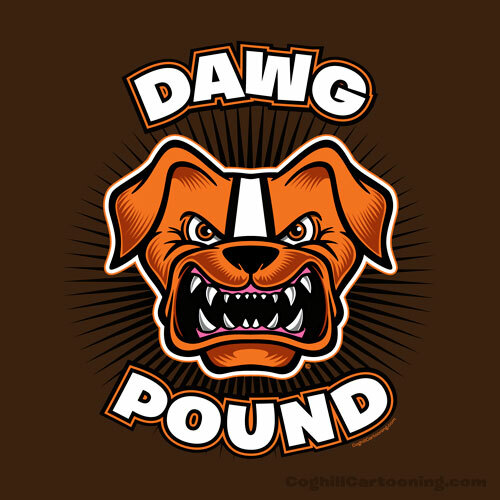 After poking around to see what kind of illustrations and artwork was out there for Browns fans, I was kind of disappointed to see some pretty weak “dog pound” designs. That of course inspired me to create my own. I couldn’t tell you how the Browns Stadium “Dog Pound” got it’s name, but an aggressive dog makes for a great character for t-shirts. I recall thinking that the biggest drawback to football mascots it having them wear a helmet since it obscures the head & face of the character. The Cleveland Browns currently have no official mascot, just the orange and brown helmet and colors. But with the unofficial fan-created “Dog Pound”, I found inspiration — just make the dog’s fur as if it were colored like the Browns helmet. Thus, the design was born. 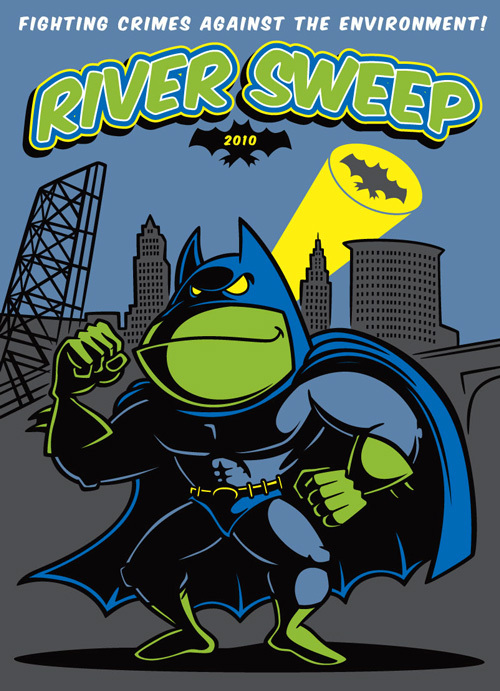 “Batfrog” llustration for the 2010 River Sweep t-shirt.